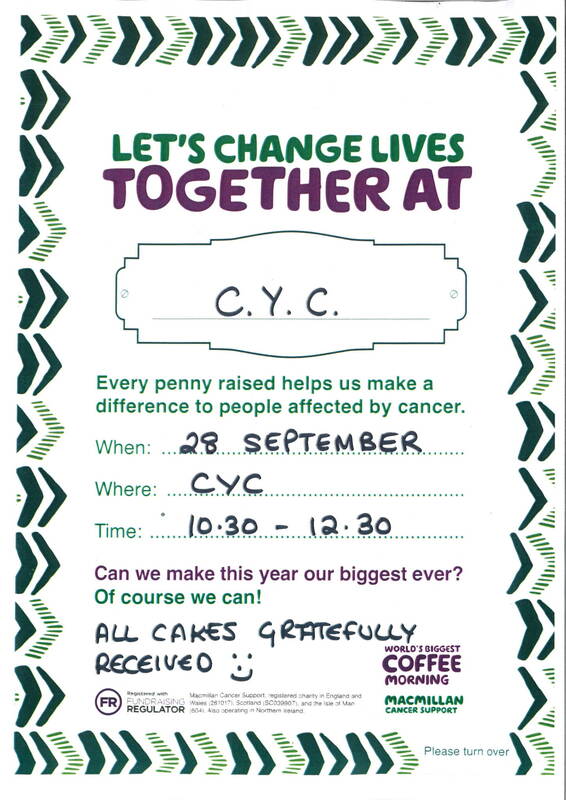 Come and join us at CYC for our coffee morning to raise money for Macmillan Cancer Support. Starting at 10.30am and running until 12.30pm in the Upper Restaurant and Quarter Deck. We would welcome any cake donations, home-made or shop bought. Our kitchen team will be producing some lovely treats for the morning and we will be supplying the coffee. All we need you to do is come along and support us and donate to this fantastic charity. If you can’t join us, you can text to donate £5 to the charity. Text 70550 and quote JAM UVM2, and your donation will go straight through. We look forward to seeing as many of you that can join us and help raise money for this great charity.